COMMERCIAL REAL ESTATE CROWDFUNDING Acquire Real Estate identifies, underwrites and pre-funds high quality commercial real estate properties. We then offer the opportunity for accredited investors to invest alongside us. 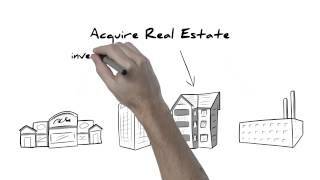 Acquire Real Estate is now part of RealtyShares, the #1 name in Online Real Estate Investing. With Acquire, you get direct access to hard-to-find real estate investments. Through the power of crowdfunding, Acquire Real Estate allows accredited investors to invest in pre-screened, institutional-quality real estate right alongside our own investments. Our team leverages over eight decades of relationships with the most distinguished sponsors in commercial real estate to source high-quality opportunities for our team and for our investors. Join our community of investors today. With Acquire, you get direct access to hard-to-find real estate investments that we've already invested in ourselves. Because we're an equity investor, not an equity facilitator, it's an easier, faster and more reliable way to start enjoying the benefits of professional property ownership. Sign up is quick, easy, and secure, and best of all it's free, and there's never any obligation to invest. Investor profiles are your passport to the world of online investing. Once completed they allow you to invest in properties in under a minute. We do more than pre-screen properties. We invest in them first and then offer shares to our members. As you browse, research and select opportunities that suit your goals, you'll know that our professionals fully vetted them before committing our own funds up front. Once you choose a property, you can complete the entire transaction online in under a minute, including securely signing subscription documents and transferring funds. There's no need for escrow because we pre-fund each opportunity. With our online dashboard, it's easy manage your portfolio, review quarterly updates and monitor distributions. As your investments distribute funds to investors, you'll see any profits accumulate right in the dashboard. We've built our website to be as transparent and helpful as we can, but we know you may still have questions. That's why we're available to discuss them on the phone or by email whenever you need a hand.